The hype around Industry 4.0 in the automotive industry is at its peak, but what needs immediate addressing is the age-old question of bringing real-world practical applications that not only benefit consumers and the environment, but also makes sound business case in terms of cost and scalability. Bridging the gap between various Industry 4.0 technologies, Carbon Performance pushes Additive Manufacturing to the very extreme by developing and series manufacturing highly-critical, structural, load-bearing high-performance components for the automotive industry and it doesn’t end here. Carbon Performance is pioneering an ecosystem that connects the physical world and the digital world by combining various 4IR technologies like Additive Manufacturing, Augmented Reality, Internet of Things, and Blockchain to not only develop smarter, efficient, innovative products that benefit end consumers and the environment, but also address the issue of counterfeit automotive components that pose threat to life of those on road. 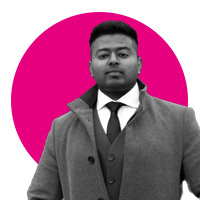 Revannth is the founder and Managing Director of Carbon Performance Limited, an automotive consumer technology company headquartered in Leeds. With a combined experience in engineering, motorsports, and business, Revannth realised the immense role that Industry 4.0 technologies could play in addressing the sustainability and innovation gaps in the traditional automotive ecosystem and founded Carbon Performance to bridge the gap between 4IR innovations and end consumers.